Several months ago, a few of your colleagues decided to join forces with you as you had come up with a concept for an innovative web application, shared the ideas with your friends and relatives, and began developing a business plan. After a few months of performing some initial market research, working on your pitch, and raising some initial funding, you decided to bootstrap the project and start designing and developing the product. 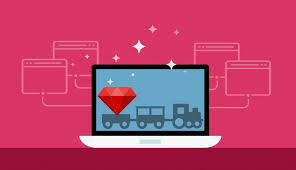 During your research phase, you came across several articles about this exciting new technology called, Ruby on Rails. You were impressed with many of the sites that were being developed on this new framework as well as the community that surrounded it. Your team decided that it would be a great idea to follow this trend and use Rails as the platform for your new product. Let’s jump forward to the present day. You’ve been in heavy development for quite some time. Your product has gone through a series of design changes and you’ve recently begun to allow other people to begin testing the application. You’re receiving a lot of bug reports as people use the system. Your development team quickly fixes them as they appear, but you’re noticing a trend in the development process. The speed of implementing new features is drastically slowing down as your development team is spending most of their time fixing bugs. Along with that, they are becoming frustrated by the project because they can’t keep up with your new feature requests while trying to keep up with your growing number of bug reports. You’re becoming concerned about the stability of the product and are slightly suspicious that your developer(s) might not be as good as they suggested they were. Did you hire a bad development team? Before I get into that, let’s discuss some of the possible causes for this situation. Your development team may have grossly underestimated this project. You might have pushed too many features into the initial release of the product and your development team might not have done a good job of helping you determine what you need, not just what you want. Your development team might not emphasize testing enough in their process. Your development team may have begun to take a lot of short cuts in an effort to hit your launch date(s) Perhaps you asked for quick turnarounds on new features before an investor meeting… maybe this happened on several occasions. Your development team might not be very good with Ruby on Rails, maybe this was their first Rails project. …and so on. At this point, the big question is… what’s the problem? Can you answer this question yourself? Can your development team answer it? If not, what do you do? How can you get an accurate understanding of how stable the code base of your application is? Why is this a good idea? Well, when you have an independent team review your code, you get the benefit of having a fresh perspective.. and often times, an independent team can be much more critical and provide an honest assessment in a very short period of time. This is especially true if they have a lot of experience with the technology. For example, we’ve been conducting code audits on existing projects since 2005. We’ve designed a process for checking existing code bases for mistakes that we’ve either made ourselves in the past or found in other projects that we’ve reviewed. In fact, our process currently walks us through the following areas of your Rails application. Security of the application Privacy of users’ personal data Adherence to the conventions of the Ruby on Rails framework Scalability of the application Performance of the application and data model Testing framework and process User interaction (when applicable) Information Architecture Model-View-Controller (MVC) implementation and organization Not only does this process provide you with our analysis, but we also provide you with our advice as to where your development team should focus their attention next. If your team is lacking experience in the areas that we recommend they focus on, we’re also here to help them through this with our consulting services. We’re currently assisting several Rails development teams with their testing process, refactoring, user interaction design, optimizing their site, improving their deployment strategy, and plan the implementation of new features. In general, most freelancers and firms could/should provide you this service, but it should not be performed by your existing development team. They have a bias towards their process and this is your chance to get a second (or third) opinion on the work that you’ve been paying them for. If you’re spending several tens/hundreds of thousands of dollars into this product, an independent review of your investment should be something to seriously consider. There are several different scenarios that could lead you to deciding to have an independent firm perform a code audit. In fact, I’d encourage you to always get an outside perspective of your team’s work. You can learn more about our Ruby on Rails Code Audit service on our website.